Amitabh Bachchan has been honoured by the Australian government for his contribution towards Indian cinema and fructifying the relations between the two countries. 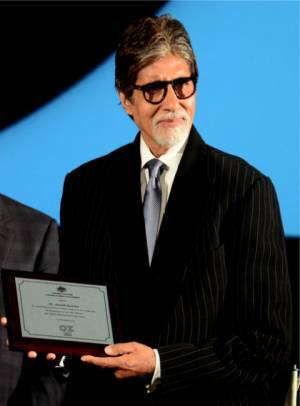 "Another recognition by the Australian Government and its Commission here in Mumbai, in celebration for the 100 years of Indian Cinema, and my contribution towards fructifying the relations between the two countries...I am most humbled...," the 70-year-old posted on his blog srbachchan.tumblr. Last year, Amitabh was conferred an honorary doctorate from the Queensland University of Technology in Brisbane, Australia.